Dedicated recycling division for businesses, ranging from Redundant computer equipment, E-waste - Printing equipment, plant, & machinery. We have a dedicated recycling division within JJ Storage Systems, who's first question would be, "Is there anything you need to dispose of " - "Could our recycled equipment be just as effective"
When clearing a warehouse, or office, all manner of equipment is available; we often save costs by transporting direct to a new, or existing customer. Our recycled equipment is rigorously checked before being re-used. Ask a member of our team for our latest stock of recycled business equipment, from office chairs to full warehouse racking systems. 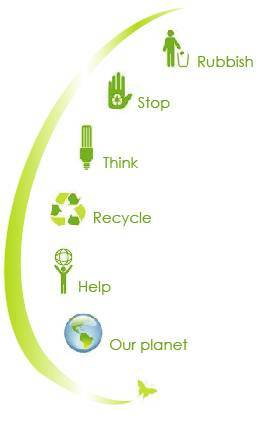 JJ Storage has teamed up with IT Green, they offer a complete business recycling solution. We are now able to offer services from business confidential waste, to industrial clearance. We offer recycled machinery, such as 2nd hand fork lift trucks, available to purchase. We often have recycled mezzanine floors available. Please call we may have one in stock to suit your business. Recycled office storage containers offer value for money, & are available to purchase from JJ Storage Systems.